Warning: viewing the sections 4.2 and 4.3 carries spoiler risks! "Mr The Killer" is currently compatible only with Windows (64 bits versions). I hope to be able to provide a Mac and Linux version in the future. The game is built using the 3D "Build" engine of the game released in 1996 by 3D Realms: the legendary "Duke Nukem 3D". As at the time, the image is calibrated in 256 colors. Compatibility on modern PCs is provided by the EDuke32 virtual machine. This project is included in the series "Le Tueur". To this day, it is a trilogy of 2D games created using the RPG Maker XP software (the series is available on www.le-tueur.com, but exclusively in french). The events of "Mr The Killer" take place directly after those of "Le Tueur 3". The game is handled using the keyboard and mouse. When it starts, EDuke32 will automatically switch your keyboard to US QWERTY mode during its activity time. The keys are appropriately indicated in the table and diagram on the right. A game by Seb Luca : universe, scenario, music and additional programming. The graphics are also signed by Seb Luca. Merween : the female scientist, the picnicking woman, civilian women (citoyenne 1+2+3+5), the female cashiers. Likali : the teenage girl, the sick woman, the old lady. Richoult : male civilians (citoyen 1+3, sound 1a). Appolo : male civilians (citoyen 1+3, sound 1b). Xzimnut : male civilians (citoyen 2+4, sound 2a). Angor de Redjak : male civilians (citoyen 2+4+5, sound 2b), the chubby scientist. Voice synthesizers : security robots and the judge. Seb Luca : The Killer … and all the remaining characters (the woodlouse including). Thanks to : 3D Realms, Eduke32's wiki, Paul B, Delta from Oniro, the participating actors and the followers (plus you for playing ? :3 ). As well as Mark, Micky C, Player Lin and zykov eddy from Duke4 for their advices. It heals you when you are wounded. Milk bottles and Bananas will increase your health of 2 points ; Waffles of 3 points ; Beers bring 4 ; pieces of Pizza 5 and breaded Meats 8 points. The Golden Beers are special : this will give you one point even if your health is up. This can reduce scratches by 15 points. This will appease your wounds by 25 points. This tends by 40 points. A red one is called a "Über Medibox" and gives 50. This rare MediBox will give you a bonus of 50 points even if you are unscathed. A light shell of 10 armor points. This item will protect you up to 25 armor points. A new gilet will give you all your armor points. May it be a useful item to you ... when all other weapons go out. An ordinary firearm but timeless. The Long Rifle 12 is a strange hybrid weapon, but that makes pretty holes. This item plays a tempo that's hard to follow, especially if you're dead. This is like a portable barbecue, but more painful. This weapon uses organic "green" gasoline, because we can exterminate while respecting the planet. A good way to trap you enemies. At first, it had to be a new model of laser pointer. The chance wanted the abilities of this object to make it a surprising weapon! It contains the equivalent to food for 50% health. You can draw from it when you need cares. This activates and stops automatically. The buzz of this little vampire will make you startle. This likes to appear when you least expect it. If this creepy creature comes to you, it's not to give a cuddle. It likes cramped and dark places. She hates that her children are hurt. Flee if she ever goes to you in anger! These policemen are not very strong, but they are stubborn! You will not get rid of them easily. An investigator specially assigned to your capture. When he has smelled your odour, he will not let you go. Ode to testosterone, these agents are go-getters. They are made secure by their bulletproof vest, so they don't hesitate to charge. A formidable reinforcement that handels many kinds of weapons. Beware! Mercenaries are interested in the premium offered for your capture. Be careful: they will lay mines to block the road when you are out of range of their machine guns. 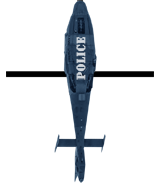 This marvel of technology is a heavy weapon used by the police as a last resort. This is equipped with rockets to counter long distance ranges. After your exploits, ShopMart Industries has developed this surveillance robot to counter you. It is a little more fragile than its predecessor, but much more cunning. Most civilians are harmless and passive. However, some will be scared at your approach, or annoyed by your aggression. Beware! Inheriting the 3D engine of Duke3D, MTK also allows players to create their own maps. This is done through the Ken Silverman's software "Build", which was made compatible and optimized by Eduke to become "Mapster32" (the executable is in the game folder, or use the shortcut "Map Creation"). People accustomed to this software can quickly adapt to MTK tiles. The others will unfortunately have to spend as many as a few days to learn how to use it (yes: 3D modeling is not as easy as putting on socks). That being said, you must know that I have programmed many new features and made some change during the MTK's devlopement. There are now many elements and events that are not originally present in Duke3D, and some relate directly to the creation and settlement of maps. Some of these functionalities or actors are very easy to use, but others are more complex and have different possible effects - we will focus on this second category. You can learn to master it by using the documentation below. This is limited to the features of episode 1. Because too few people have been interested in this part of the Wiki for me to draft some more documentation. Applying to it a pal of 20 or 25 will turns it into a GM Mosquito, flying quicker and biting louder. You can change his pal value but his colors will stay the same. If pal = 26 : the cop involved will be weaker (33% of his normal health) and will always drop a gun once dead. If pal = 50 : when killed, he will drop a blue key and will not rise again. If pal = 18 : the cop involved will be weaker (66% of his normal health) and will wear a grey uniform. If pal = 50 : when killed, he will drop a blue key. If pal = 3 : the robot will be more tough (133% of its normal health). If pal = 33 : when dead, all the EXPLODEVENT1 will explode. If pal = 50 : when killed, it will drop a blue key. 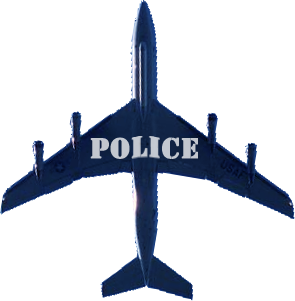 If pal = 50 : when killed, each will drop a blue key. INFO: the Mercenary's shirt can be red by pal 25. At her death, this young lady will trigger every Respawn whose LoTag equals her HiTag. He is passive until he's attacked or if the player comes near him. You can place/respawn a spontaneously aggressive scientist by tile 1604. You can place a unarmed scientist by tile 1597. She is passive until she's attacked or if the player comes near her. You can place/respawn a spontaneously panicked nurse by tile 1762. For a tile 1762 with pal 3 : when dead, the nurse will drop a red key. The offensive of this character is activated when he is attacked. You can place/respawn a spontaneously aggressive waiter by tile 2362. They are passive and can be approached. But when a store employee is killed (manager included), the threat is spotted: every cashier will attack you if you pass near him or if you shoot him first. You can place/respawn a spontaneously aggressive cashier by tile 2436. At her death, she will drop a green LABOCARD. You can place/respawn a spontaneously aggressive scientist by tile 2623. You can place a unarmed scientist by tile 2621 (this one doesn't drop a card). If pal = 33 : when dead, he will drop a blue LABOCARD. If the HiTag of this character is 666, at his death he will add 1 to the variable "mansion". NB: in each level, the "mansion" variable starts at 0. When it equals 3, MasterSwitches with a LoTag of 666 are triggered. So, this actor can be related to CITOYENNE2 and/or CITOYEN3. NB: in each level, the "mansion" variable starts at 0. When it equals 3, MasterSwitches with a LoTag of 666 are triggered. So, this actor can be related to CITOYENNE2 and/or CITOYEN2. If the HiTag of this character is 666, at her death she will add 1 to the variable "mansion". NB: in each level, the "mansion" variable starts at 0. When it equals 3, MasterSwitches with a LoTag of 666 are triggered. So, this actor can be related to CITOYEN2 and/or CITOYEN3. Do not place more than one by map or their respective beeping will interfere. At his death, this man drops a blue key. At his death, this traitor drops a GOLDEN MEDIBOX. What a busy man! At his death, he lets go of a red key and triggers every TRAINEVENTS, as well as each Respawn whose LoTag equals his HiTag. When dead, he will drop a brown LABOCARD and trigger each Activator and ActivatorLocked with LoTag 686. You can pick it up like any weapon. This object is destined to cancel the effects of the KNIFE_OFF_EVENT. When the knife is picked up, it also triggers the MasterSwitches whose LoTag is 700. It randomly spawn a ShopMart Product. The pal doesn't influence the process. It is spawned by some civilians : BIOLOGISTE (2600), SCIENTF0 (2622) and a pal 33 SCIENTBOB (2922). You can also place/respawn one or more cards in a map. Its color does not really matter, nor the order in which these objects are found. In each level, the "labocard" variable starts at 0. When it equals 1, Activators with a LoTag of 680 are triggered. When 2, Activators with LoTag 681 and 682 when equaling 3. It also works with AcivatorLockeds. Simultaneously, you will be able to use small diodes "LOUPIOFF" (2923). Each is natively a red light that will turn green in these conditions: a LOUPIOFF with pal 0 become green when labocard = 1, if pal 33 when 2 and if pal 34 when 3. Warning: now, it is invisible during the game. I made this choice in order to discreetly insert this button into other surfaces (example: at the end of E1N3 -> the "faster" button). Place it so that it closes a hollow box. As in E1N4, if the player approaches the box, a Police Officer will arise from it. Use it as a flat sprite and place it in front of each real wheel of a car. Use it as a flat sprite, not as a wall texture. Flatten it on the ceiling and make it transparent. Activating its Hiscan Sensivity (H) will make the bird mortal. It works ideally when summoned by a Respawn placed on the ceiling. When it appears, the plane moves towards the player. From a distance of 18,000 from the player, this will set its direction and drop a row of bombs. It disappears when it hits a wall. A destroyed plane counts as an additional killed. It works ideally when summoned by a Respawn placed on the ceiling. When it appears, it turns to the player and then goes straight ahead. From a distance of 18,000 from the player, this will parachute three Assault Cops. A destroyed helicopter counts as an additional killed. Pal 33 generates a small fish, pal 3 a medium one and all other pal a big one. Place some on the ceiling at regular distance intervals. At the launch of the level, all the clouds will be invisible and the snow will fall continuously. Explodes when a Young Girl or a Security Robot with a pal 33 dies. Works in conjunction with the tile "CABLES" (150). This one was eventually unused. It does nothing. If pal 0 and player near (<1600) -> removes 17 health points and plays "TUEUR_reveille.ogg" (E1N1's starting). If pal 7 and player near (<1600) -> plays "TUEUR_degout.ogg". If pal 11 and player near (<1600) -> plays "TUEUR_piececake.ogg". If pal 12 and player very close (<768) -> plays "ovation_courte.ogg" (E1N6). If pal 15 and player dead -> plays "ovation.ogg" (E1N6). Plays the sound "TUEUR_secret.ogg" once when it can see the player. I often used this event for secret places discovery. Plays the sound "TUEUR_consternation.ogg" once when it can see the player. Plays the sound "TUEUR_hohoVE4.ogg" ("Uh-ho!") once when it can see the player. If pal 10 -> plays "juge01.ogg" and spawns a QUOTEVENT1. If pal 11 -> plays "juge02.ogg" and spawns a QUOTEVENT2. If pal 12 -> plays "juge03.ogg" and spawns a QUOTEVENT3. It works ideally when summoned by a Respawn. When it appears, it spawn an Assault Cop after 2,5 seconds + a random short time. Note that the cop will get a pal of 18 (grey and weaker). For example: this event is used in the helicopter assault, at the beginning of E1N2. The second PopEvent can be triggerd by contact with an explosion's hit radius (you have to place the event very close of the explosion's source for it to work). If pal 0 -> it spawns a normal Assault Cop after a half-second (this helps prevent the guy from being hurt by the shock). If pal 2 -> it spawns a lot of debris and makes appear a constant fire. If pal 3 -> after the explosion, it awaits three seconds, then spawns three cops. For example: this part of event is used at the end of the police van ambush, in E1N2. 50% chance of Police Officer. If not, 75% chance of Assault Cop. If still nothing, the spawn will be a Mercenary. When a Train Conductor dies, each TrainEvent turns into a Police Officer with a pal 26. A Respawn doesn't take into account the desired palette, hence this event. When it can see The Killer, this prevents him from using the knife. This can only be canceled by picking up a Knife Item. A multifunction event that I mainly used to set off the appearance of Bomber Planes and Helicopters in E1N4. If pal 0 and player near (<1024) -> it actives the Respawns with LoTag 670. If pal 3 and player not far (<5200) -> it actives the Respawns with LoTag 671. If pal 10 and player close (<1984) -> it triggers all Activators, AcivatorLockeds and MasterSwitches with LoTag 675. Every PushEvent with pal 10 on the map will then be erased. This allows to have several triggering spots without risk of repeated activations. If pal 0 : in the beginning of the level, this will start a countdown. After 5 seconds this will play a lock sound effect, and after the eighth the Acivators/AcivatorLockeds with a LoTag of 699 will be activated. I used it for the jail door, in E1N6. If pal 23 and player very close (<640) : it ends the level with an animation. I would not recommended to use this event. Because its activation in a UserMap will automatically launch a video of Duke that I was unable to remove, instead of the end screen of my episode 1. A complex event that I developed for the level "The Trial" (E1N6), it's working in two steps. STEP 1 : Place a WeaponEvent. At the launch of the level, it will become a weapon item according to the palette you gave it: Palette 10 = a pistol, 11 = a rifle, 12 = a machine gun, 13 = a rocket launcher, and 14 = a flamethrower. STEP 2 : The weapon obtained, once picked up by the player, will activate a certain LoTag operating on Acivators, AcivatorLockeds and MasterSwitches : LoTag 10 for the pistol, 20 for the rifle, 30 for the MG, 40 for the RL, and 50 for the FT. These are certainly useless for your maps. These works in conjunction with some "VocalEvent5" and are used to display the judge's subtitles. 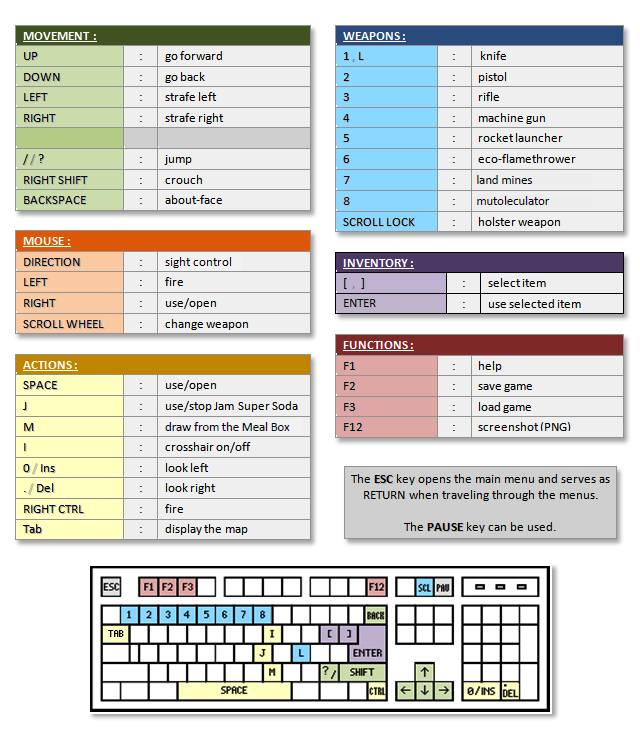 When you are creating your maps, it is often useful to have on hand the list of common sound effects (doors, buttons, lifts, ...). This list exists in the "Mr The Killer\sounds" folder, but you can download it here on the right, if it helps. 1 - As shown on the left, there's an url-shortcut linked to a ZIP file containing all the maps, in the folder "Mr The Killer/datas". In addition, as you have probably already noticed: in the root folder of the game are files named "first_test.map" 1 and 2. These are maps I made at the beginning of development, I experienced there the first series of tiles and event as I created it. These maps are immediately accessible via Mapster.